Hi everyone! Gina K and the team have received such amazing feedback on the new Foil-Mates, Fancy Foils and dies that we have decided to put together a special hop for you today! 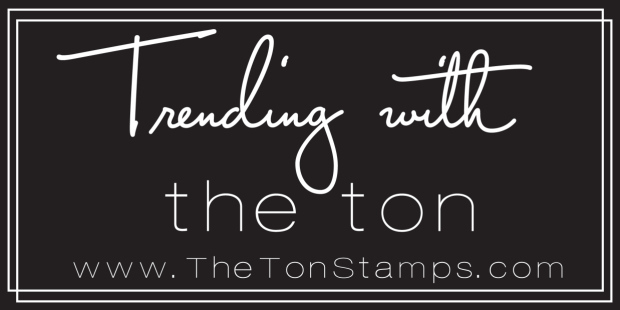 This blog hop is a blend of a video blog hop featuring tutorials from Gina K and a few members of the team and a traditional blog hop featuring beautiful cards from other members of the team. Over the past few weeks, the Foil-Mates products have been flying off the shelves at Gina K Designs. Please be assured that if they are out-of-stock, they will quickly be back on the shelves again soon. 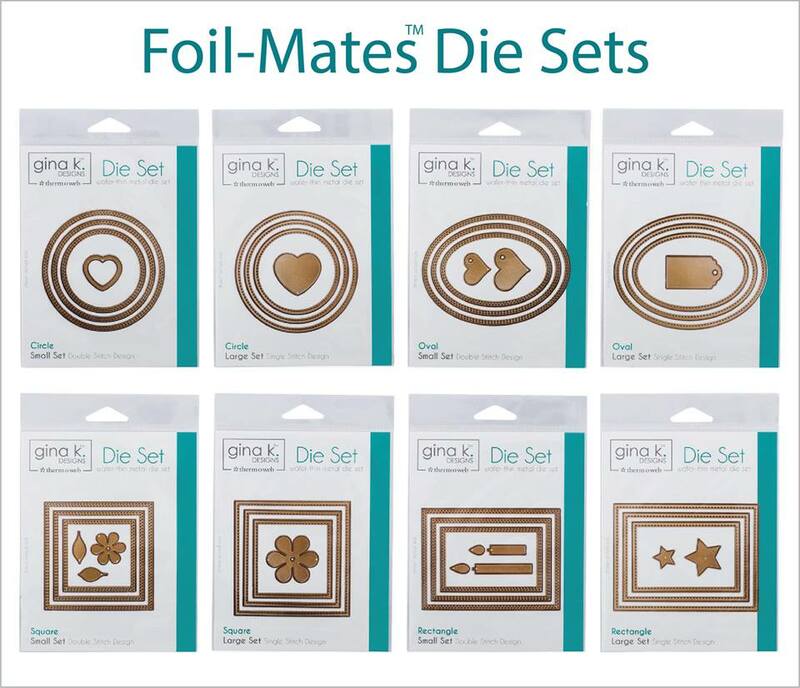 In fact, Gina just stocked the shelves with a fresh batch of Foil-Mates, Fancy Foils and dies and more will be on the way. 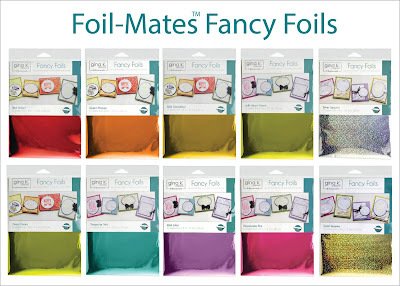 If you are new to Foil-Mates, they are used to step-up the shimmer and shine in your card projects! Creating cards is never more easy and beautiful when you work with this new line of foil products. 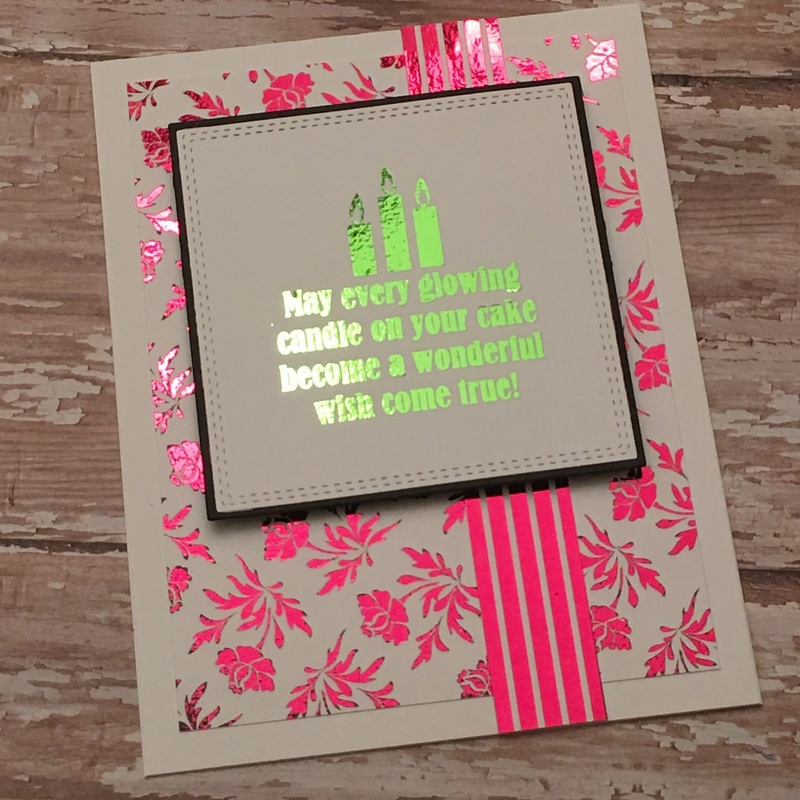 From beautiful pre-printed Foil-Mates, to stunning colors of Fancy Foils, when you combine them together the outcome is stunning! 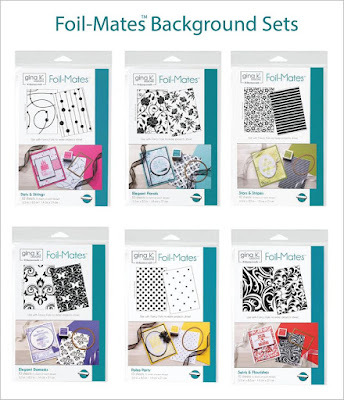 Discover how many various combinations of different cards and invitations you are able to create with Gina’s Foil-Mates products. 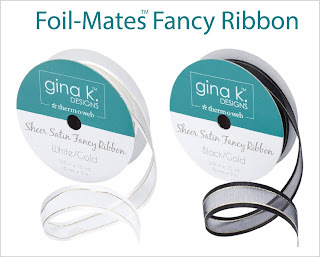 With many of Gina’s most popular signature colors now available in foil, coordinating with Gina K Designs card stock and ink has never been easier! 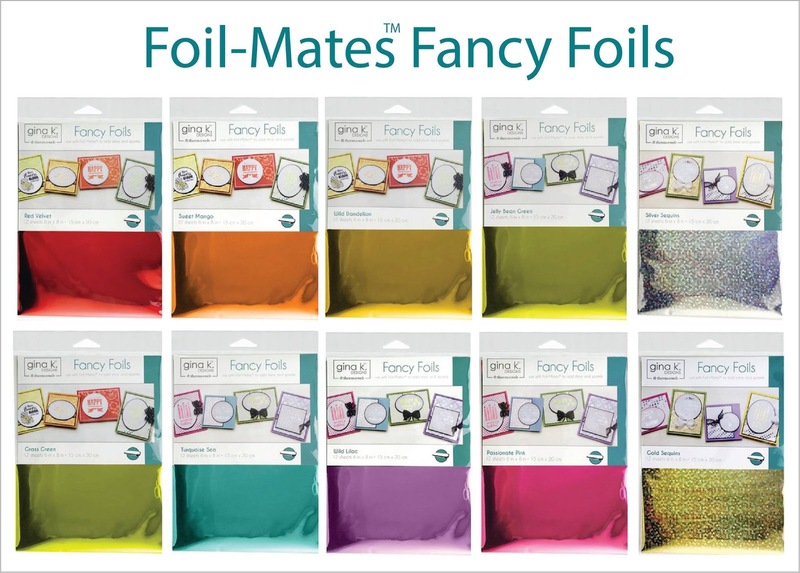 We would like to thank Therm O Web for being such a great partner in the Foil-Mates line of products. Single Stitched and Double Stitched Square dies. Fill It With Flowers stamp set. Image painted with watercolors. I used a slide trimmer to cut the top and bottom of the panel just up to the leaves, then hand trimmed around the leaves, so they would jut out from the trimmed panel. Chris, these are beautiful designed cards! Beautiful cards, Chris! Love them both! Beautiful cards! Love how you show and tell how you made your flower go outside of your frame piece. Thanks for sharing. Gorgeous cards! Thanks for the inspiration! Oh wow! these cards sure are beautiful, thanks for sharing. Wow, those are gorgeous. Thanks for sharing and inspiring us. Beautiful cards. I love the coloring on the Fill it with Flowers card. What beautiful cards. Love the trimming around the flowers! Watercolor and foil = beautiful!! Great idea and lovely cards. Didn't think to use the stripes with the floral, but it looks amazing. Thanks! Love both your cards, but that last one is totally awesome! 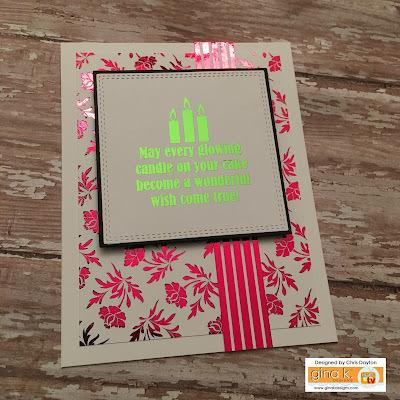 Love how you used foil on your card, but also stamped and colored an image...not to mention how you cut it out! Just Beautiful! Both cards are really beautiful. I especially love the flowers in the vase. Thanks for sharing.. Your flowers are so realistic, beautiful! 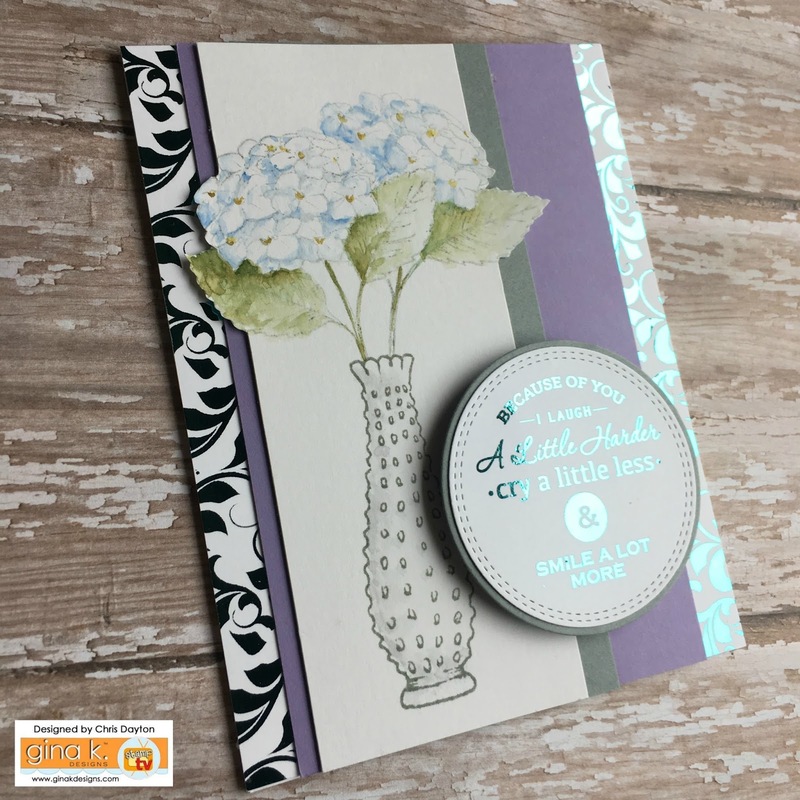 The Swirls and Flourishes is the perfect backdrop for your card. Inspiring designs...thank you for sharing. beautiful watercoloring on the Fill It With Flowers card. OMG that hydrangea card is gorgeous! Your vase of flowers with the foil behind it is gorgeous. The vase card is my favorite, just love the look! WOW! Love your cards! Great ideas on the flowers and leaves. Thanks for sharing! I am obsessed with the background on the red card. Your watercolor card is so beautiful. Really beautiful cards. Love how you mixed your watercolor with the foil. Wow! So excited to get mine! Wow Chris! 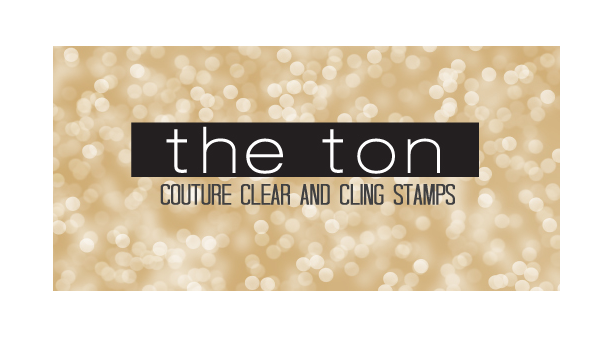 I love your cards and I love the foil on kraft paper. Thanks for the inspiration. 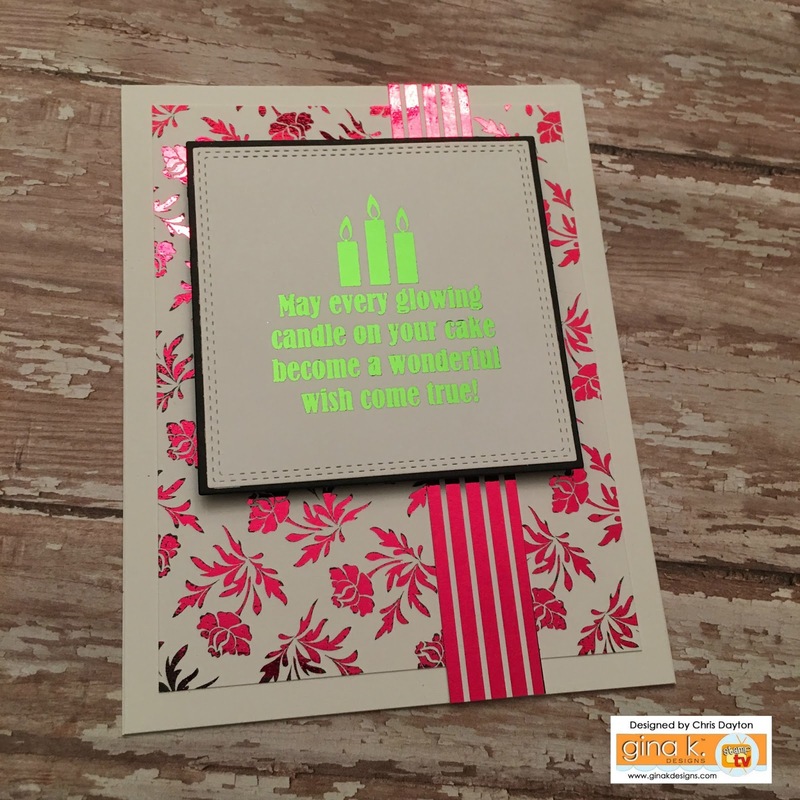 You have made such wonderful cards with the foils and foil mates. I just got a few of these foil mates in the mail again today so want to play if I can later on. The floral card is just beautiful!! Love the colors. Wow! I love the way your painted the hydrangeas. Beautiful cards! Such gorgeous cards, Chris! 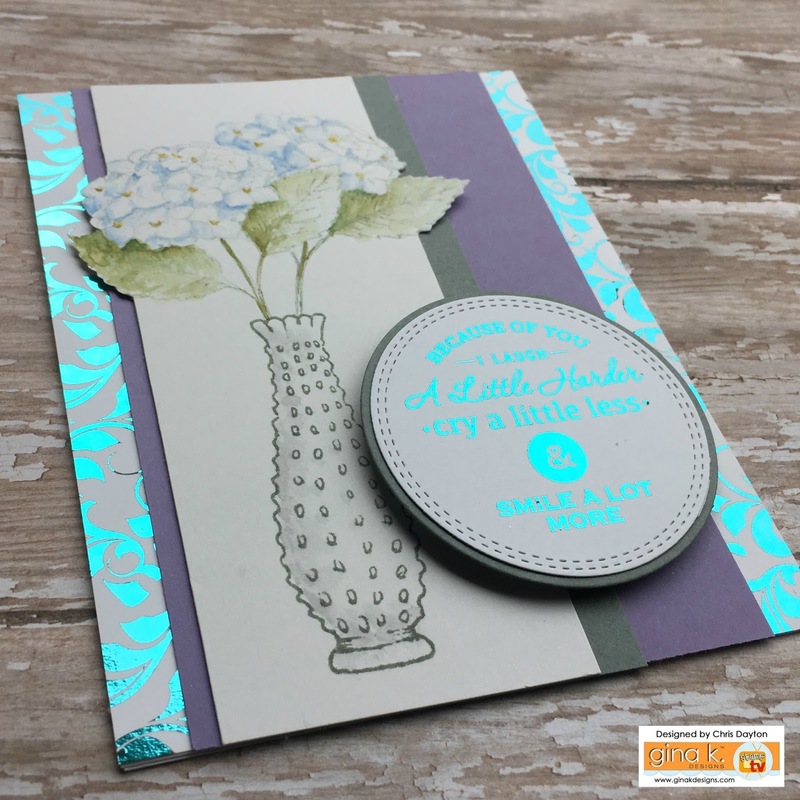 I especially love the flower card with blue foiling! Hydrangeas are beautiful! Great card design! Love that partial cut. These foils are amazing! The flowers and turquoise sea make such a pretty card. Love your work! 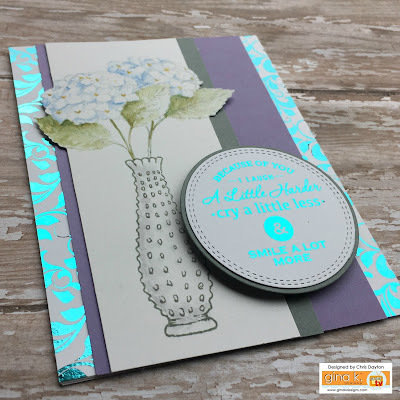 Love your hydrangea card, so elegant! 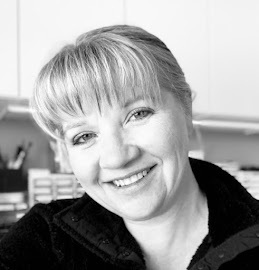 Love what you do and those foils add a stunning finish to your designs. Love love the inspiration for your card. Thanks for sharing your talent with us. cheerful. The flower is so elegant. So pretty. Really liked the one with the vase of flowers! Beautiful cards and seriously the vase of hydrangia's are so life like. Absolutely beautiful cards. You are very talented. Thanks for sharing. Beautiful cards. But the vase with the hydrangea & leaves cut out is a great idea. Lovely card! Such pretty cards. Great job! The foil mates really do add punch to cards! Awesome cards! Love the hydrangea! Beautiful cards. I love the pink and green combo. 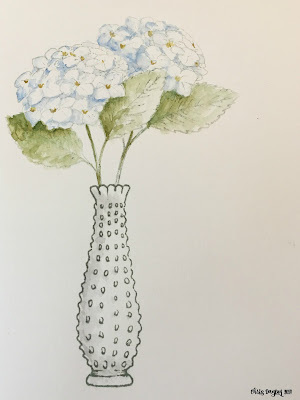 And the vase of hydrangea is a great idea! such fantastic ideas. they get my creative "juices" flowing. Beautiful cards and my favorite would be the hydrangea. Thanks for sharing. your cards are just beautiful, the hydrangea esp. 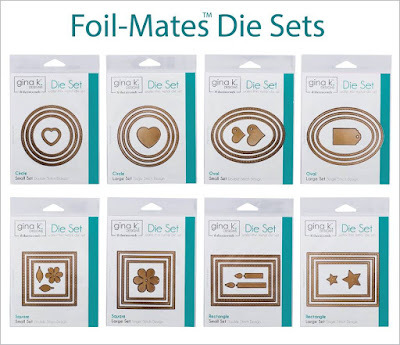 Beautiful foiling and I love the technique for your flower panel. My, oh my, oh my!!!! Both your creations are simply amazing. 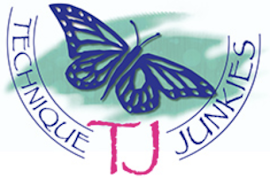 Gorgeous colors and wonderful designs. Thanks so much for all the great inspiration!! Your cards are so stunning! I always love your cards. Very pretty foiled cards. I really like the one with the vase of flowers. Oh so glitzy! Very pretty.